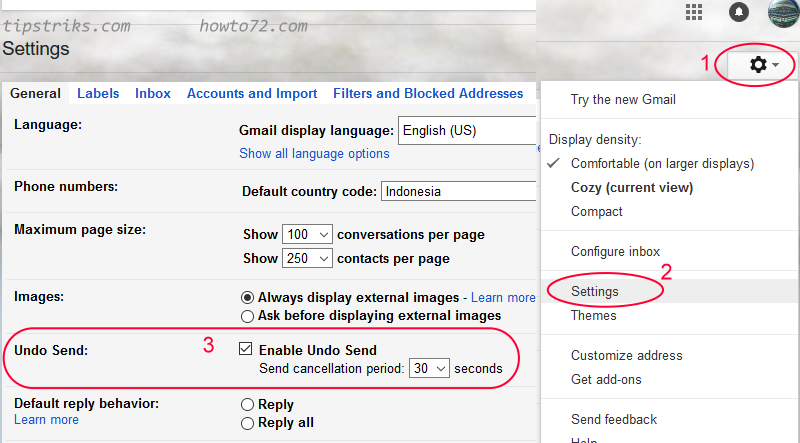 Web Gmail gives an option to cancel sending the email after you click the send button. You can make enable the Undo Send option and choose how long time the Undo button will appear, 5, 10, 20, or 30 seconds. 1. From the main window of web Gmail, choose gear(settings) icon. 3. 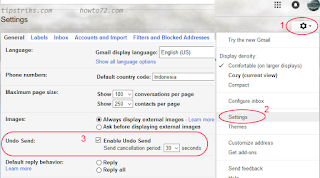 Give a tick at Enable Undo Send (Gmail classic), no need for new version of Gmail. 4. Choose time for Send cancellation period. 5, 10, 20, or 30 seconds. Now, when you send an email, it will display Undo button for cancelling, display period according to the time you have set.